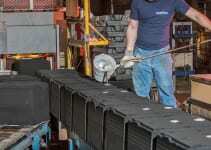 A Trusted Aluminum Foundry Providing Quality Castings for Over 75 Years. Welcome to Bremer Manufacturing Company, a trusted aluminum foundry in Wisconsin with an extensive history in high- and low-volume aluminum casting production. We specialize in complex, highly-cored casting for numerous applications in sizes ranging from a few ounces to 125 pounds, all produced on state-of-the-art equipment. 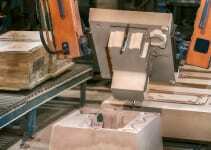 What’s more, our processes are efficient and cost effective, saving our customers time and money. 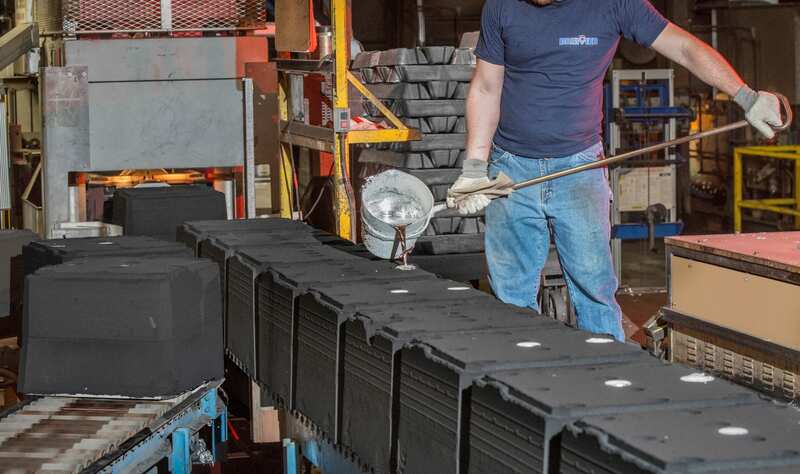 As one of the most experienced and integrated aluminum foundries in Wisconsin, our production processes include in-house core making and assembly, heat treating, CNC machining, product final assembly and supply chain management. We also source additional finishing processes, such as polishing, powder coating or anodizing using Bremer’s network of approved suppliers. 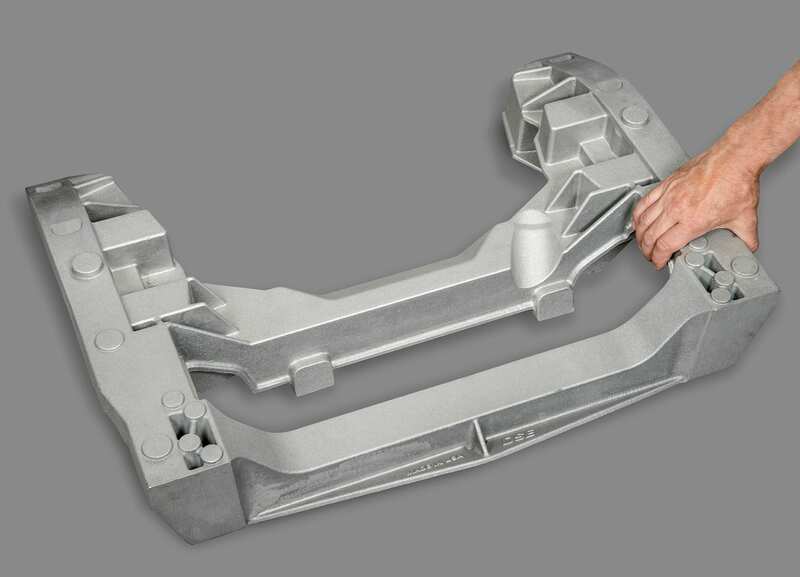 Bremer’s team of capable engineers serve as an extension of your engineering department, providing assistance throughout all phases of the aluminum casting process. 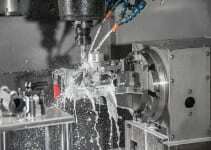 From concept design, through tooling and into full production, we’re a truly integrated foundry. What’s more, we’re ISO 9001:2015 certified & ITAR registered with the Department of State, so you can trust our Wisconsin aluminum foundry to deliver your product on time and done right the first time. 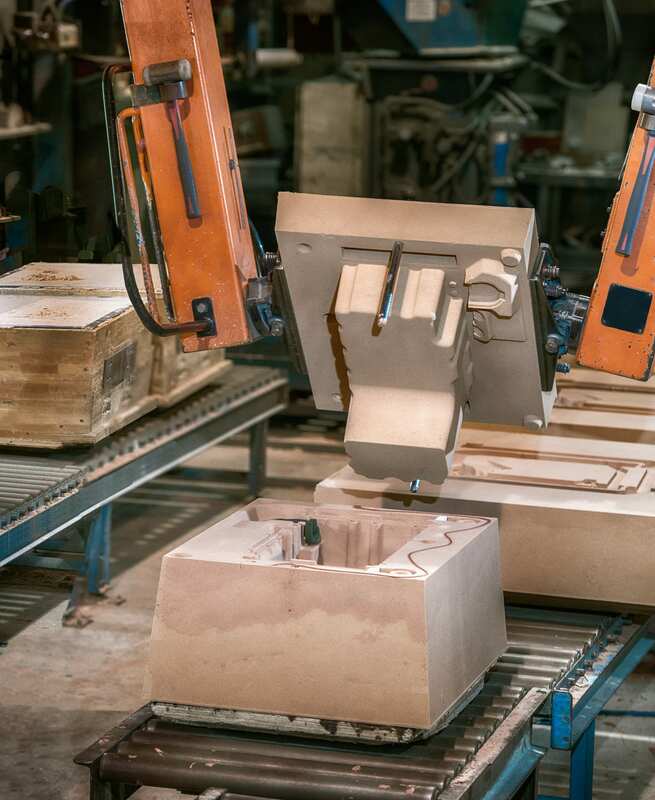 Utilizing leading-edge automatic molding machines, our green sand casting processes offer high-productivity and low-cost solutions for smaller parts. Our flexible air set molding line enables the production of much larger and heavier aluminum parts, while still offering low cost and short lead times. 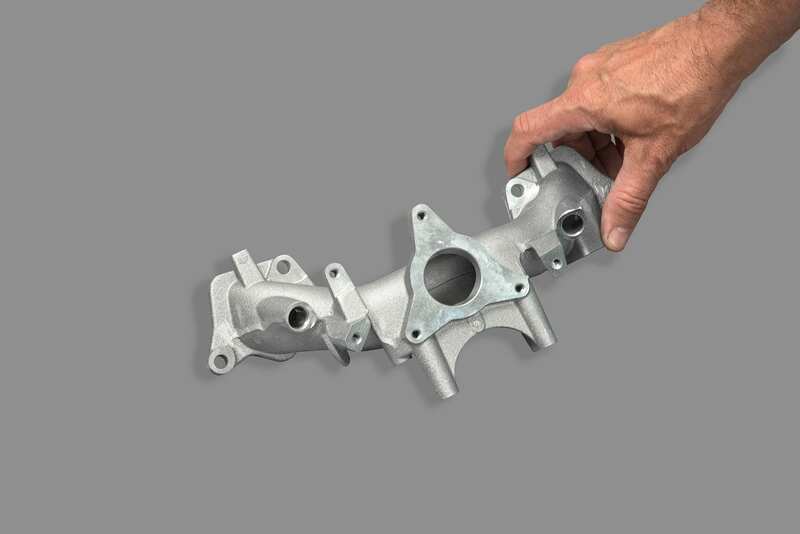 We also offer completely machined aluminum castings, thanks to our seven Haas and Hyundai vertical CNC machining centers.